During last months, our organization undergone important changes and new administration during our 6th Congress held in Brussels. During the Congress, we have put enriched agenda and planning for our future works and activities and including our changes in the administration to empower all segments of our people within the organization. Congress showed important will to pas to the Co-Presidency and with local committees. This is, indeed, our first message to our readers with the new administration. Our Congress in Brussels gathered around 100 delegates from different European countries and had important feedback from our participants. The new administration is already started to work with different partner and organizations. During last period, Chaldean-Syriac-Assyrian people faced important developments and historical achievements in their homeland and also in the diaspora. Within this context, our historical homeland of Nineveh Plain had been liberated and our towns and villages had been cleaned from terrorist organizations. Following the liberation of the Nineveh Plain, a new form of approach was needed to respond to the crisis in Nineveh Plain, notably reconstruction, rebuilding, return of displaced people and political future of the region was on the table. In this regard, an international conference in the European Parliament had been organized and hosted by MEP Lars Adaktusson with the participation of 60 delegates from different places, religious leaders, politicians, European and US authorities had been present. We as ESU had been active in all the stages of the conference and we had immense honor to be part of this historical achievement which brought various leaders together and sign common declaration for the future of our people in the Nineveh Plain. On the other hand, while the all attentions put on Iraq and Syria alarming news come also from Turabdin with the expropriation of Syriac and Chaldean churches, monasteries and other properties by the Turkish state. From the first moment until now, we have been instantly in contacts and relations with different actors regarding this issue and we will continue our work until to receive back all our historical properties back. Our people and other vulnerable minorities and ethnic and religious groups in Middle East continue to face existentialist threats in their homelands. There is urgent and continues presence of international community to stand with these groups and support them. ESU will continues its work by constructing bridges between Europe and Middle East and bring attention to the case of Chaldean-Syriac-Assyrian people. Syriac people around the world are watching developments and events in the Middle East countries closely as their brethren continue their presence in the region despite the harsh incidents against them and Christian populations as general. The ongoing trouble and stalemate of political impasse in the Middle East region and the deadlock on the Syrian crisis affect enormously the presence and the future aspirations of the Syriac people. Syria has important place among Syriac people as they leave their steps in every moment of the Syrian history. Middle East region and countries continue to hold the priority within the international community attention and meetings. As a whole the region pass through very fundamental process of re-balance between regional and international powers. In every country and corner around the region there are new discussions and negotiations to seek new alliances.Ongoing Syrian conflict is in our priority within ESU. During last three months Middle East region continues to be at the top of agenda in international arena. Despite the events in Egypt and protests waves in Turkey and new President in Iran, Syria constantly holds the top priority and urgency. 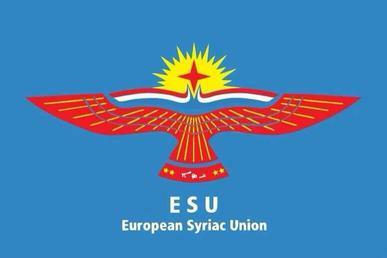 As ESU, we follow very closely all developments in the region especially these which are related to Syriac people and Christians as well.